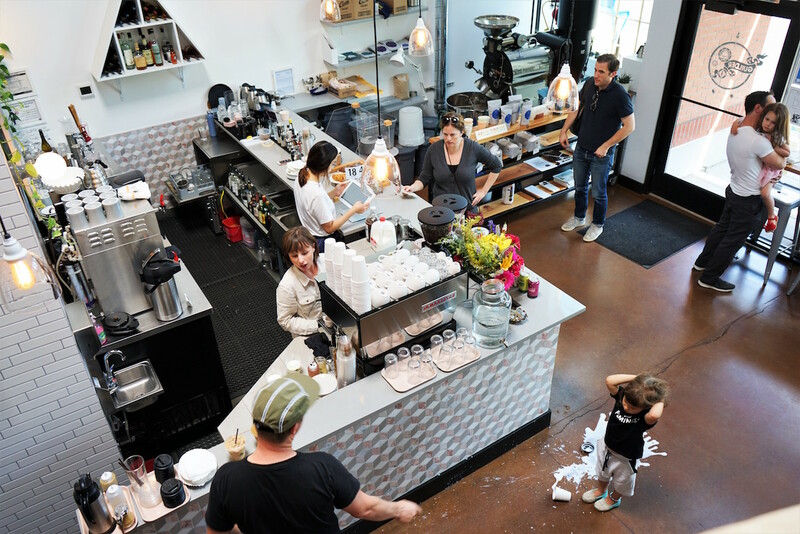 The Junior’s Roasted Coffee roastery in Portland. Daily Coffee News photo by Howard Bryman. 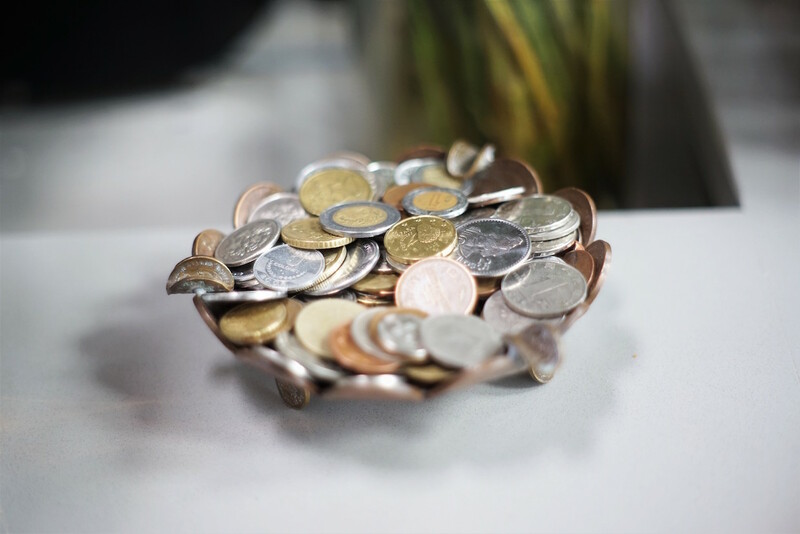 When roasters and importers make an effort to highlight the amounts they pay for green coffee, the transparency is admirable, although those figures do not necessarily reflect what an individual farmer actually receives. And in the rare case that a consumer can learn what a farmer actually takes home for her efforts, the picture remains woefully incomplete without also knowing that farmer’s costs of production. That’s why Mike Nelson, former academic and current co-founder and head roaster of Portland, Oregon-based Junior’s Roasted Coffee and Guilder Cafe, has been working for years on a multifaceted project aimed at illuminating this critical, complex and often obfuscated supply chain data point. Andres Fahsen. Photo courtesy of Junior’s Roasted Coffee. 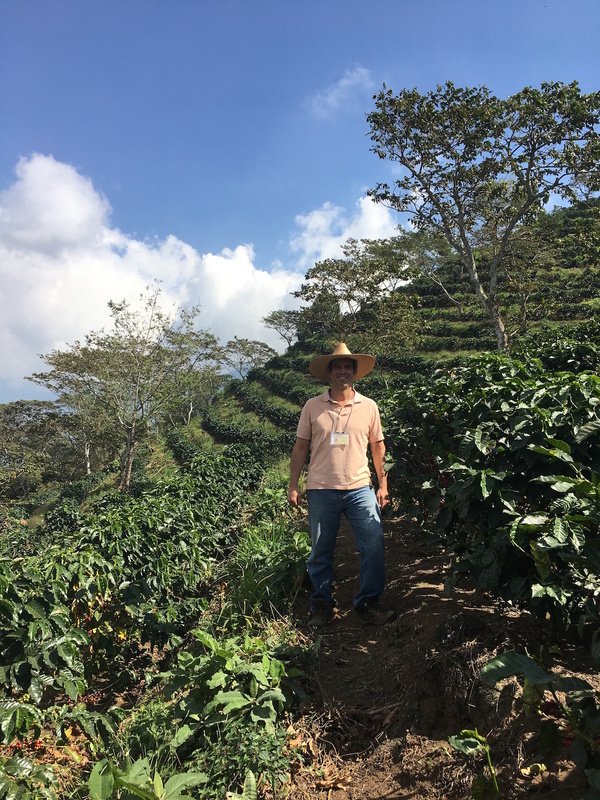 Nelson worked in close coordination with Guatemalan producer Andres Fahsen of the farm Santo Tomás Pachuj to identify and track the actual costs to produce the lot purchased by Junior’s for roasting and release this year, as well as with Ana Cristina De Salazar of the green coffee importer TerraNegra, which imported the coffee. The first fruits of that labor recently became available to Junior’s/Guilder customers. 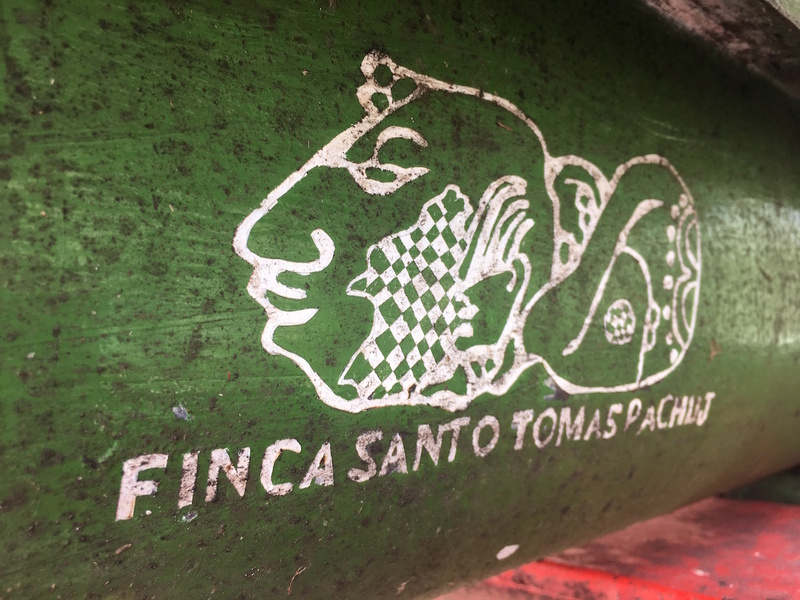 Currently on shelves at the Guilder roastery cafe is a coffee from Santo Tomás Pachuj with a label that includes three figures: the C-market price of coffee at the time of the transaction; the farmer’s cost to produce this particular coffee; and the price that was paid directly to the farm. 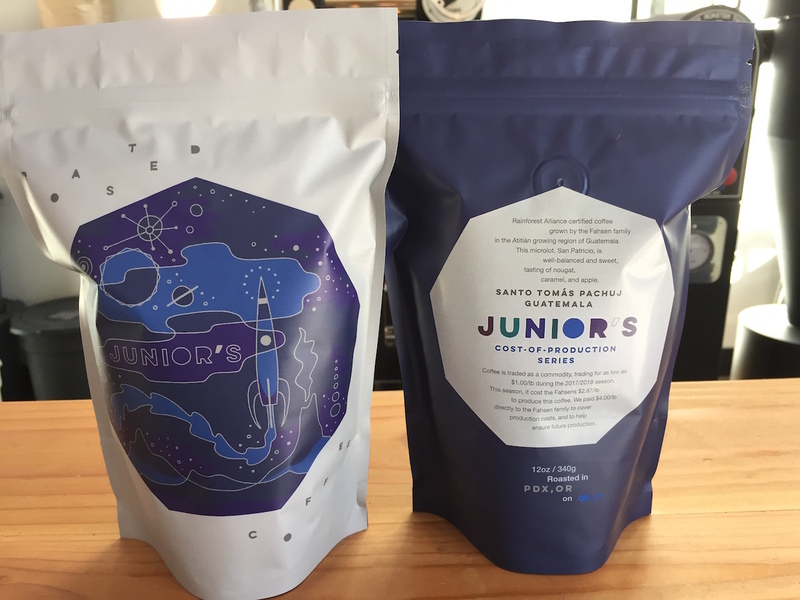 The first offering in Junior’s Roasted Coffee’s “Cost of Production” series, including price transparency on the package. Photo courtesy of Junior’s Roasted Coffee. A fourth figure posted nearby is of course the retail price of the coffee, which is $18 for the 12-ounce bag of whole beans. Behind that figure is yet another complicated explanation that Nelson hopes to convey clearly and engagingly to customers, as Junior’s has tracked its own costs of production for this project. 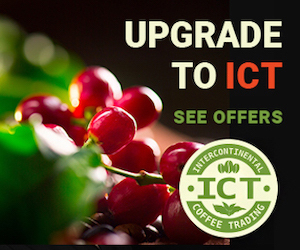 Later this year, JRC intends to publicly release two detailed transparency reports, one of which will elucidate the costs of production incurred by the roasting company for this particular coffee product. 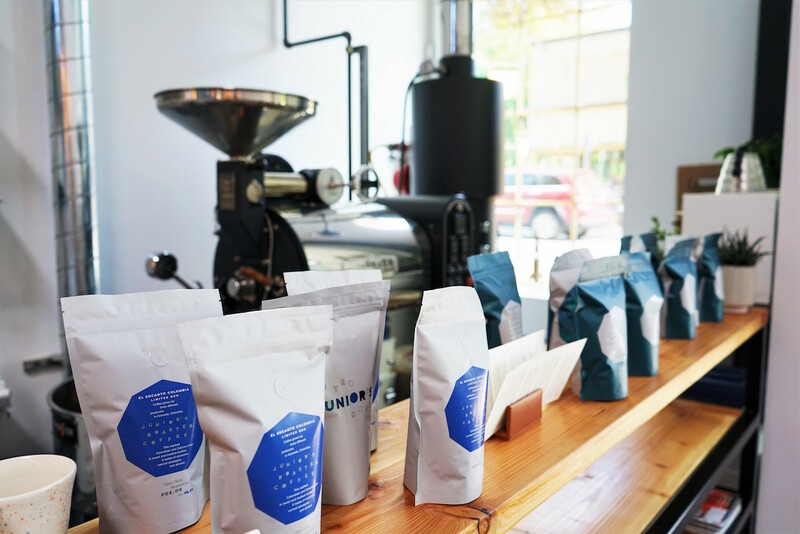 That will be followed, Nelson hopes, by public discussions that will cover topics such as Junior’s margins and the reasons behind them, all to help the Portland shop’s local community of consumers better understand what goes into these products. Junior’s/Guilder Founder Mike Nelson. Photo courtesy of Junior’s Roasted Coffee. The other report will detail the costs incurred by Santo Tomás Pachuj, which are broken down into categories of fixed costs and variable costs. 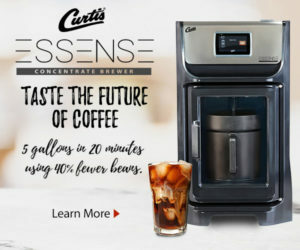 The picture that became clear was that in order for JRC to purchase Fahsen’s coffee at a rate that would actually have the farm breaking even, a significant premium would have to be added. 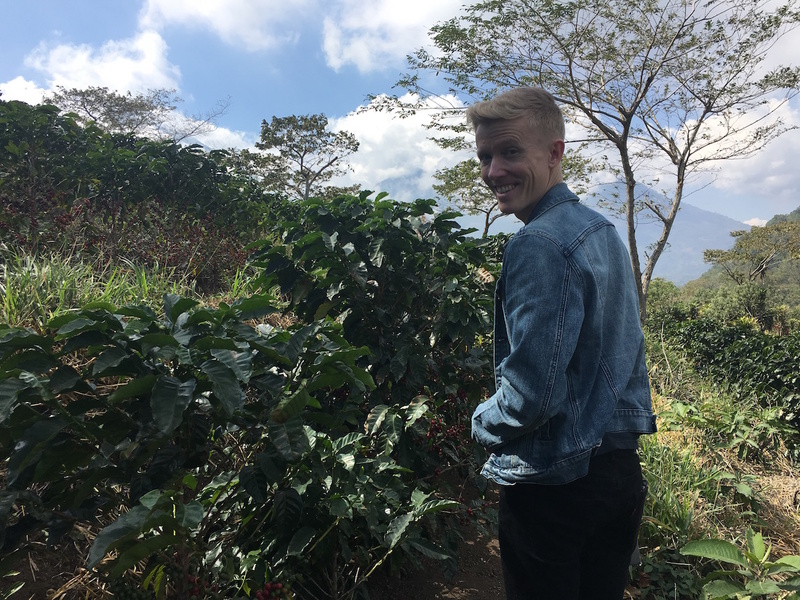 Given the longstanding relationship between the roaster and the producer, and that the coffee consistently cups up to Junior’s stringent standards, JRC was happy to pay more for the benefit of all involved, today and into the future. Finding partners that were willing, trustworthy and reliable enough to thoroughly gather and share this information was serendipitous for the first product, but will likely prove more challenging in the future. TerraNegra, being a new and idealistic company founded in 2016, had only just opened its books privately, let alone publicly. 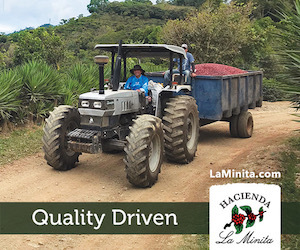 In her short time at the helm of TerraNegra, Salazar said she’s been inspired by the transparency of most of the players she’s come in contact with, and has been particularly moved by Fahsen’s courageous professional openness and desire to have the truth be known about his own farm and about coffee farming in general. Nelson, however, has had spottier experiences where forthrightness is concerned, with inquiries left unanswered in some cases and in others receiving conflicting information. By the same token, Nelson also recognizes that sometimes even well-intentioned importers my not have access to cost of production info because some farmers might not want the information to be public, while others may not have kept very clear records. As for bookkeeping on farms, Salazar said that she’s noticed in the midst of the current c-market downturn, more farmers are taking greater notice of their vulnerability and keeping closer track of expenses. Now that Fahsen, TerraNegra and JRC have put the time, focus and communication into compiling the critical info, the next phase is to package and present it to consumers and to fellows in the industry, which is itself another multi-stage project. The label on the bag was only the first step. DCN will have more on Junior’s transparency coup in an upcoming piece. Junior´s Roasted Coffee sells a pound of coffee that they cost them $ 8.10 for $ 24.00!!! where is the fairness in this? Even if they pay according to them a huge premium, the farmer who does most of the work gets the smallest pay!! An absolute rip off! I would NEVER buy a single bean from Mr. “Academic” Mike Nelson. Shame on him! Maybe you should read the article again instead of skimming it? 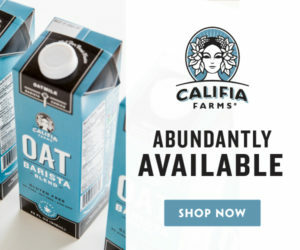 I’m sure if you emailed him as well he would be happy to buy you a cup of coffee and talk to you about why this is necessary if we want to sustain any coffee production in the near future.